Seeing Ashton’s story inspired us to write a little about our son Miles. Miles was born 4 days earlier than Ashton on May 6, 2013. 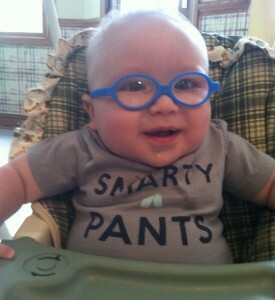 At our 20 week ultrasound we found out Miles had spina bifida. In an instant our world changed forever but we could never imagine how it would be for the better. Maternal Fetal Medicine at Akron Children’s Hospital saw us every step of the way and we felt so trusting of the hands our son would be in. 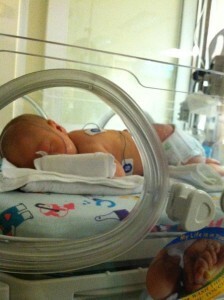 When he arrived on May 6, he was taken to the NICU where he would be taken such great care of by the best. During his 11 day stay, he received a back closure surgery and the placement of a shunt. No words can express our complete faith and gratitude we have for his neurosurgeon Dr. Hudgins. What a God send Akron Children’s Hospital has in him. His first year also brought us to the Vision Center where he had eye surgery done and another coming up. Again, he has been treated with the utmost care and expertise. 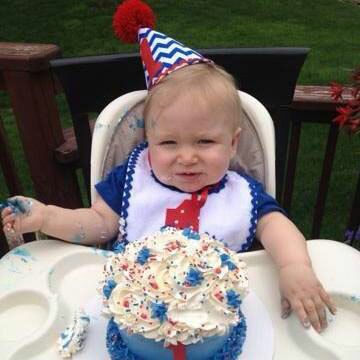 As we reflect on his first year of life, we are so thankful for the gem in our own backyards, Akron Children’s Hospital. Those who have been there know what an amazing place it is and how lucky we are to have it. Those that have not been there let me just tell you it is one of a kind. From the nurses to the doctors, to the techs to the desk staff, everyone goes above and beyond to make your child happy and healthy. And as a parent there is nothing more you could ask for. Thank you from the bottom of our hearts!